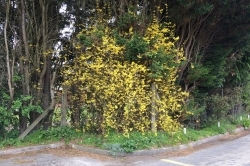 Forsythia flowers. The four petals join at the base. 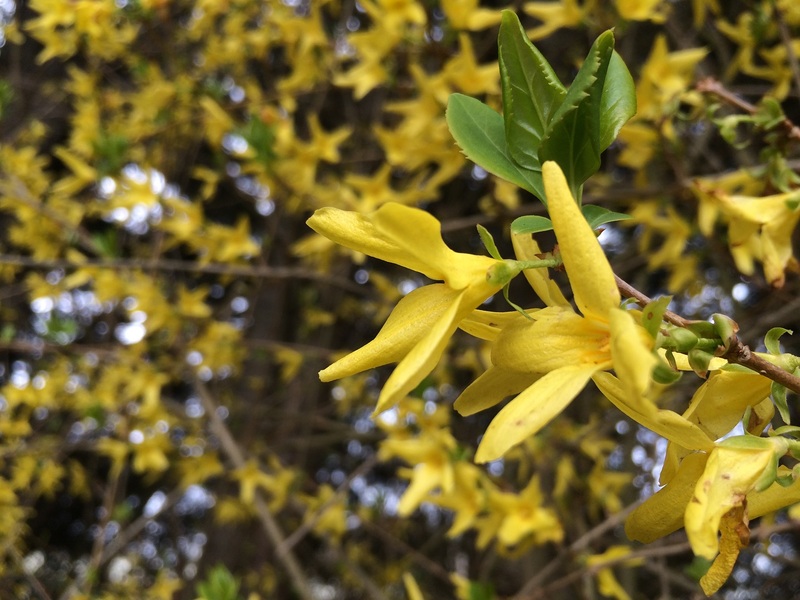 Forsythia is a genus of shrubs from East Asia widely used in gardening. Several species, hybrids and garden varieties exist, but all have similar flowers. We use the flowers in salads. The leaves only appear after the flowers. They grow opposite each other and are usually green, simple, ovate and toothed. There are varieties with lobed or trifoliate leaves, and golden or variegated colours. All varieties have yellow tubular flowers, with four petals that only join at the base. 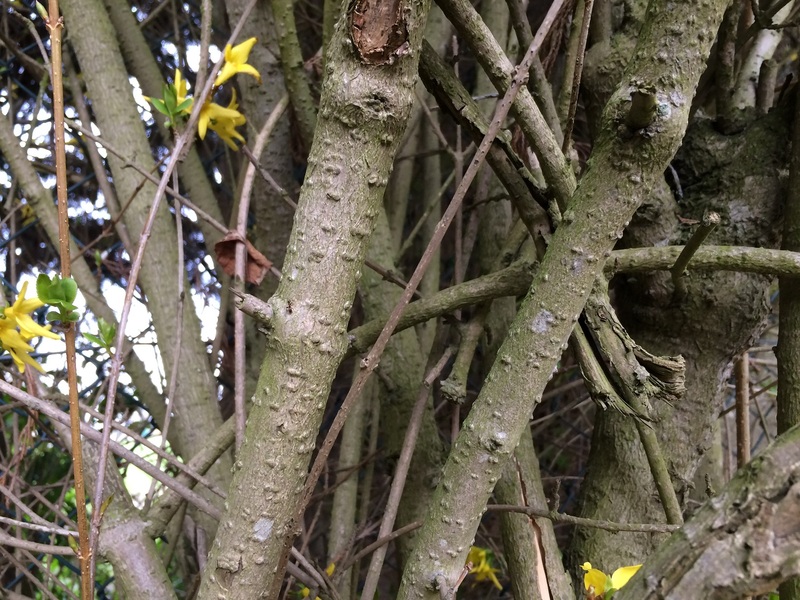 The flowers appear on the branches before the leaves. They come in varying shades of yellow but are usually bright and in large number. These flowers are the key identifying feature of the genus. 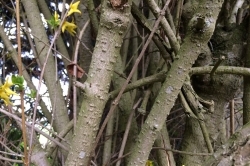 The bark is greyish brown and rough in texture. Gardens, parks and hedges. It’s a gardening plant, we haven’t seen it growing wild. 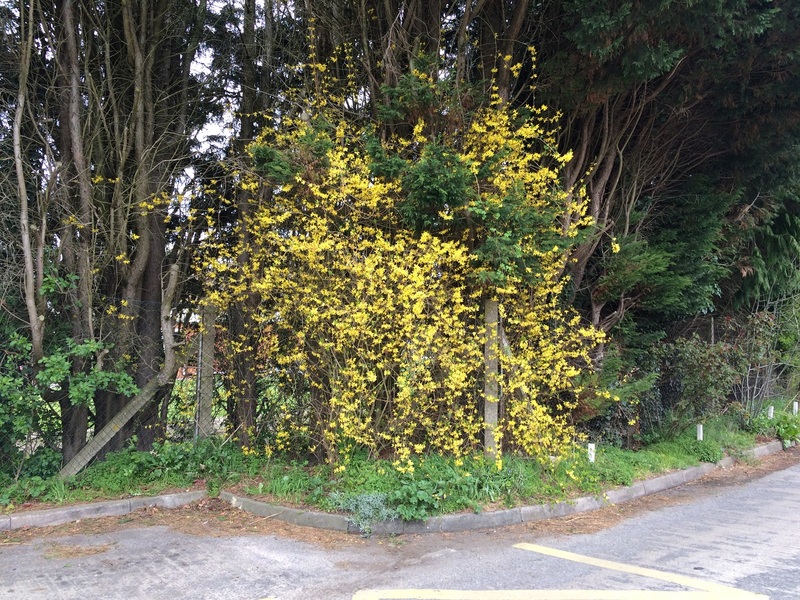 There are other shrubs with yellow flowers like Winter Sweet, Witch Hazel or the related Winter Jasmine. 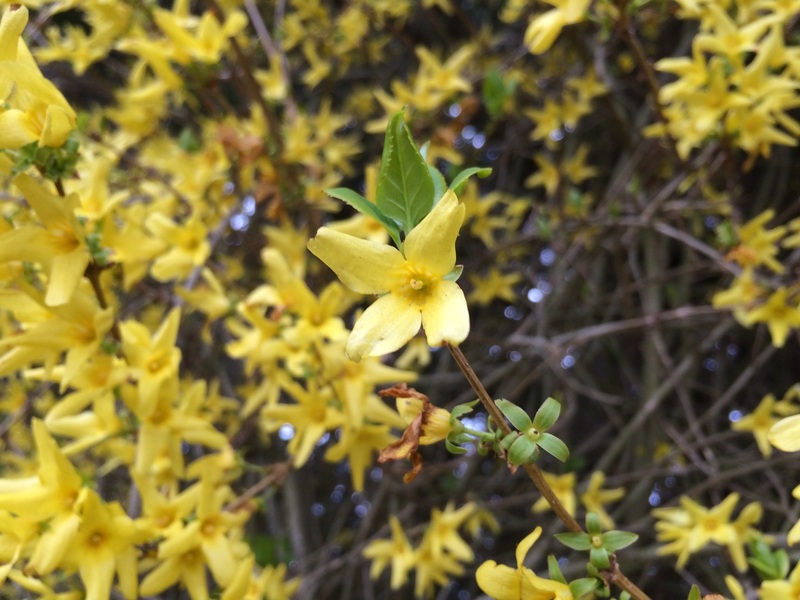 These can look similar from distance but the flowers of Forsythia are quite distinct with their four petals. Unlikely to grow wild but very common plant in towns. 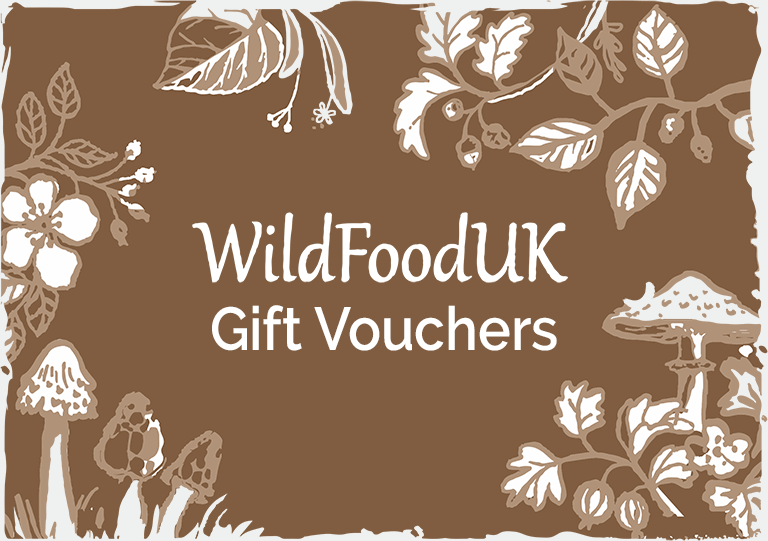 In early Spring collect flowers to use raw, adding colour to salads or use as garnish. It is a great resource in early Spring, specially if other salad crops aren’t available yet. Some people report eating the very young leaves. These contain Phillyrin and it’s not clear how safe it is to consume it in considerable amounts. We stick to the flowers. 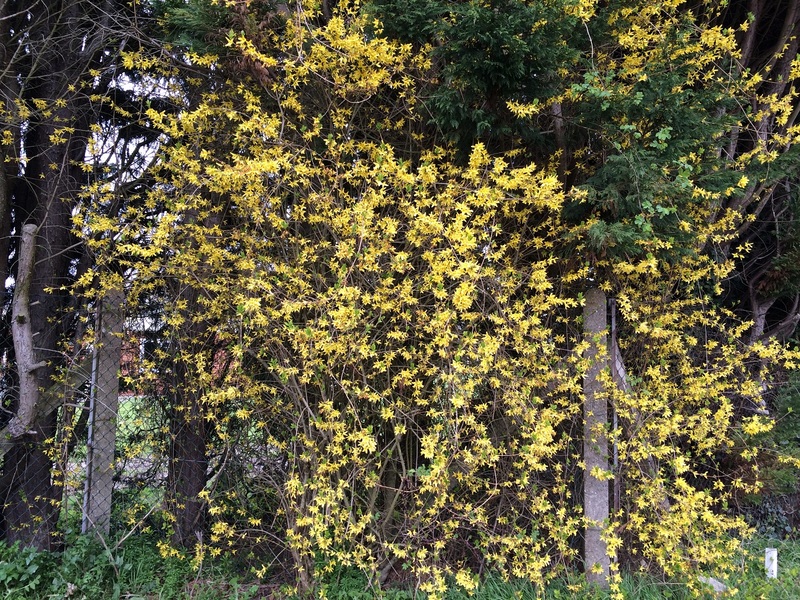 Weeping Forsythia (Forsythia suspensa, Lian Qiao in Chinese) is one of the 50 essential herbs in Chinese traditional medicine. 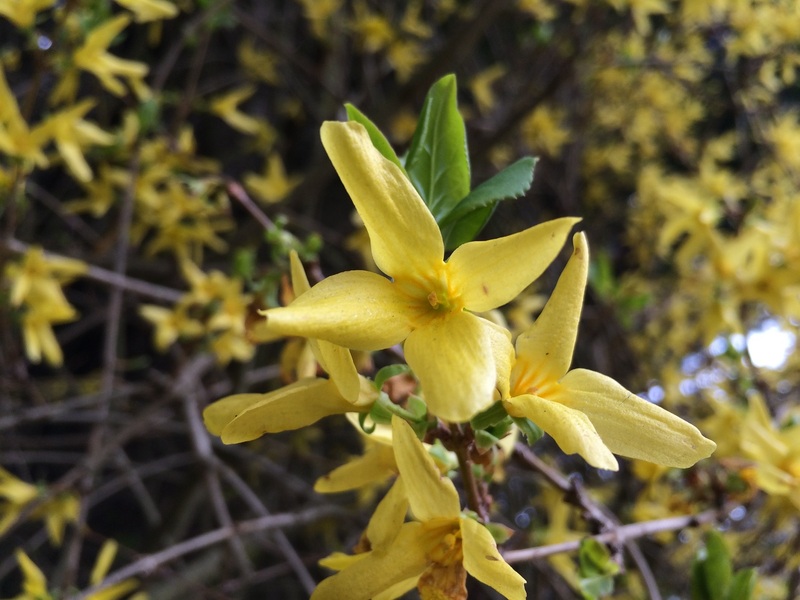 The fruits of this and other Forsythia species are used to reduce fever and inflammation in bacterial infections. The leaves are also used in infusions. 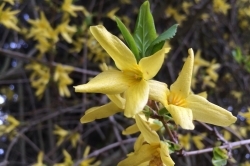 There is however limited information on the effects of using Forsythia. The leaves contain higher amounts of the glycoside Phillyrin, which is produced by fungi that live inside the plant. Phillyrin shows anti-obesity activity but the safety of its use is subject to much debate. 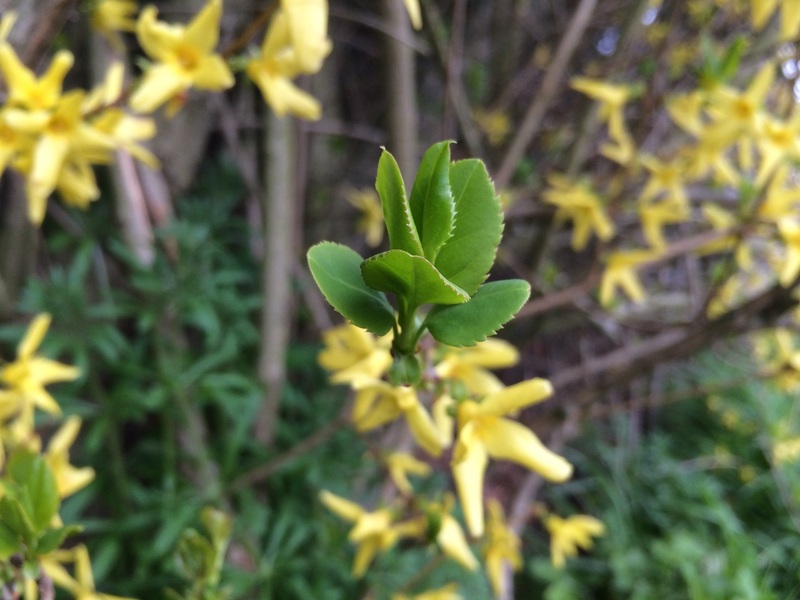 Forsythia is a genus in the Olive family. 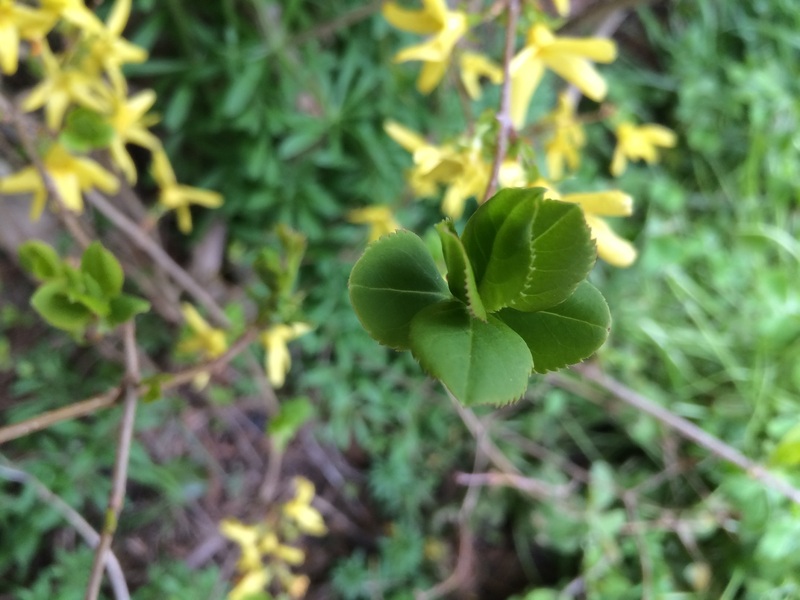 Forsythia x intermedia is an hybrid cross between two natural species: Forsythia viridissima and Forsythia suspensa (Weeping Forsythia). 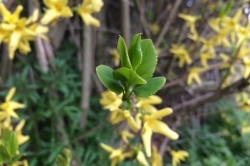 This the most common species of Forsythia in British gardens, but it’s available in numerous garden varieties (cultivars). Petal width and other features can vary a lot from one form to the other. 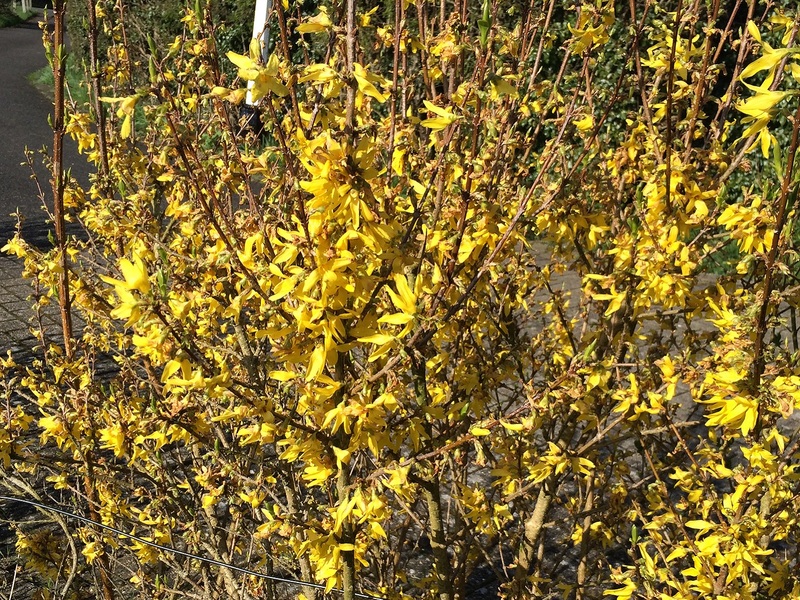 Varieties of Weeping Forsythia (Forsythia suspensa) are also common, but other species are less frequent.  Around twelve species exist in nature, almost all native to East Asia. 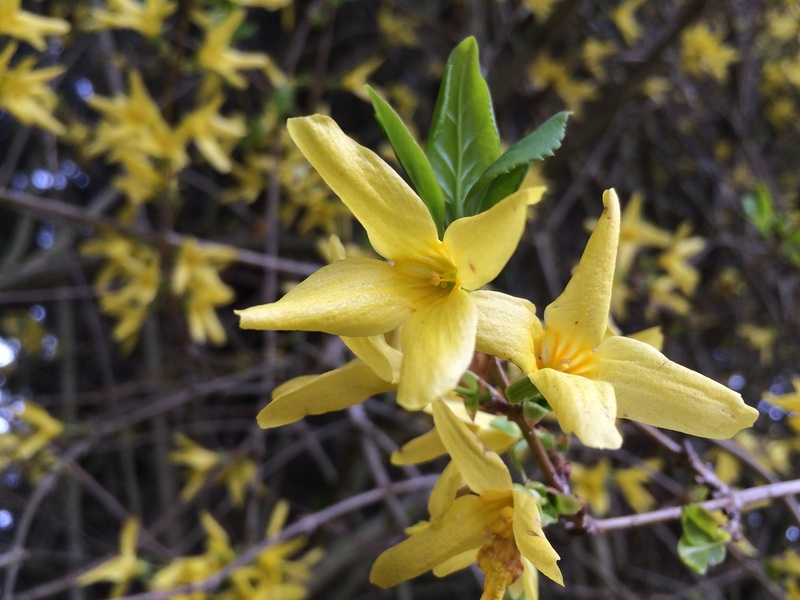 Forsythia europaea is the exception, being native to Southeastern Europe. This large diversity is more relevant to the gardener than the forager.